Do you love to play sports such as rugby, hockey or kick boxing? If your child does, are you concerned about their safety? If you play sports or watch your children play, you will know that the field of play can sometimes become dangerous – especially if it involves a fast moving, heavy ball like in hockey or lacrosse. That’s why it’s important for you or your child to wear the correct protective wear, like a gum shield. Here at City Dental Practice, we are able to create one of the safest gum shields in the world. 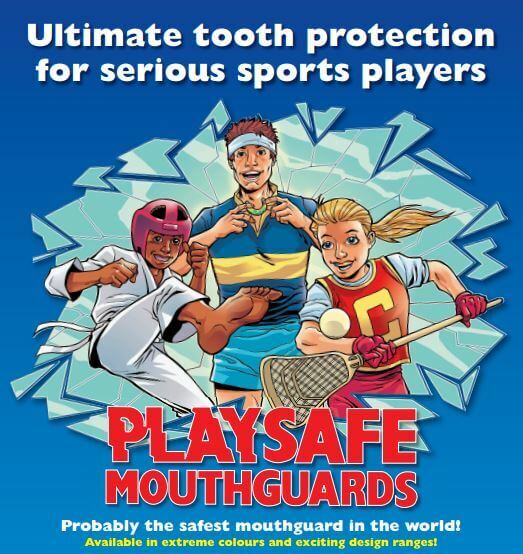 Independent tests conducted by The Open University materials engineering department have confirmed that the heavy playsafe mouth guard provides more protection than any other mouth guard that they tested. So why can’t you just buy one off the internet? Although, off the shelf gum shields are easily available, they will not provide you with the correct protection as they will not fit perfectly. The gum shield will also be the incorrect thickness for the type of sport that you play. If you decide to have a bespoke customised gum shield made by City Dental Practice, we will take an accurate impression of your teeth and gums and ensure the gum shield is made to the correct protection specifications for your chosen sport. 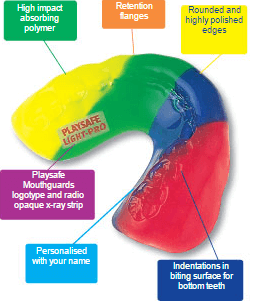 You are also able design your gum shield from an array of different colours and images to make your gum shield recognisable and unique to you. You may even like your name or a motivational quote inscribed into your gum shield, which we will happily arrange for you. If you play sports and are interested in a custom-made gum shield, please book an appointment by speaking with either Pam or Marian on reception by calling 0121 455 9233.